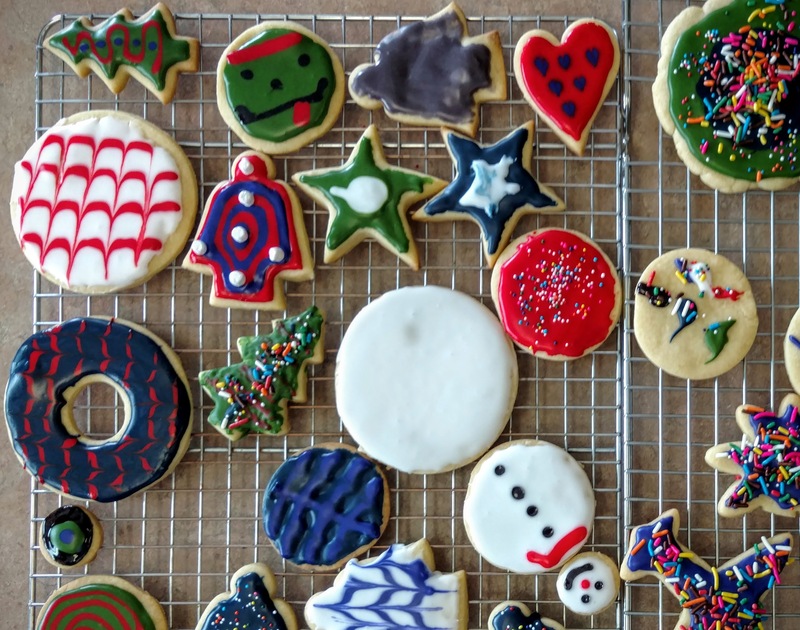 I have tried a few sugar cookie and icing recipes and they all were always missing something. I have finally found a recipe that will produce great results, but it is a little more intensive. I recommend reading the sites linked in the source for suggestions and tips. Cream the sugar and cold butter. Add the egg and extracts and mix. Gradually add the flour mixture and beat just until combined. Roll onto a floured surface and cut into shapes. Place on parchment lined baking sheets (I recommend freezing the cut out shapes on the baking sheet for 5 minutes before baking). Bake for 10-12 minutes at 350 degrees, let sit a few minutes on the sheet, then transfer to a cooling rack. Sift in the powdered sugar and beat on low to combine. Add in the corn syrup and extract if desired. Increase speed to med-high/high and beat for about 5 minutes, just until the icing is glossy and stiff peaks form. Do not overbeat.